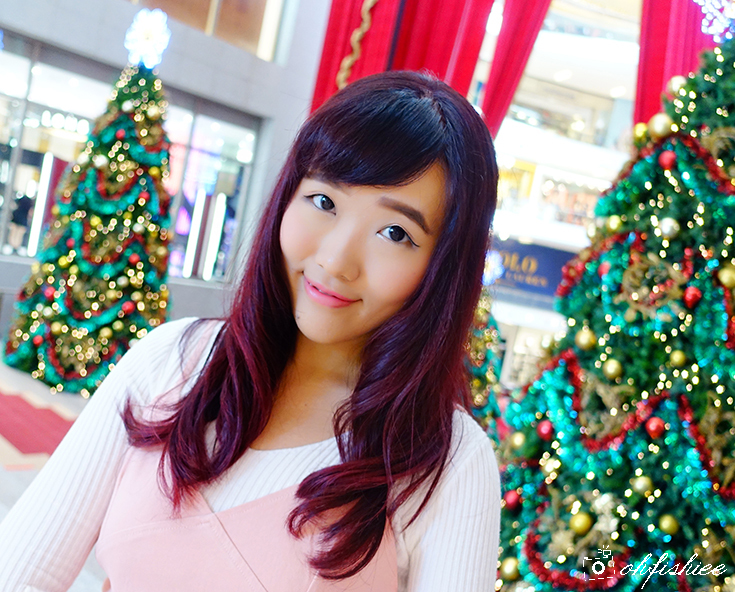 Hello, December! Any plans yet for this Christmas? 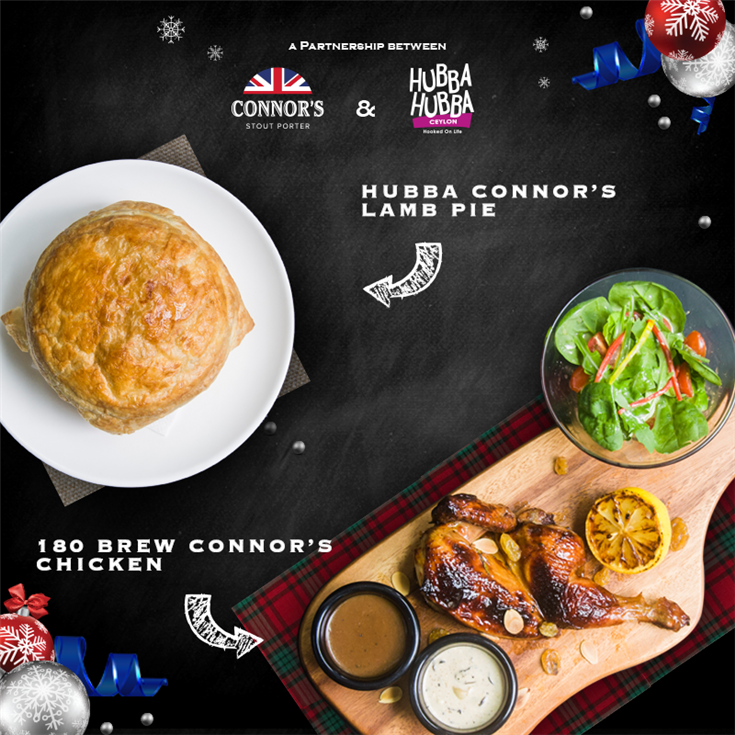 If you're celebrating it in KL/PJ, this is the best time to indulge into the special Christmas Edition of The CONNOR'S Experience! 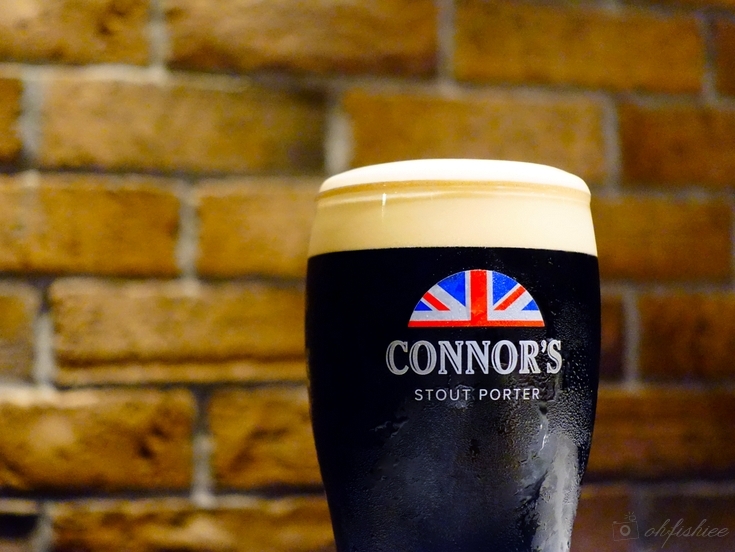 Wait, The CONNOR'S Experience is not just about drinking CONNOR'S Stout Porter. 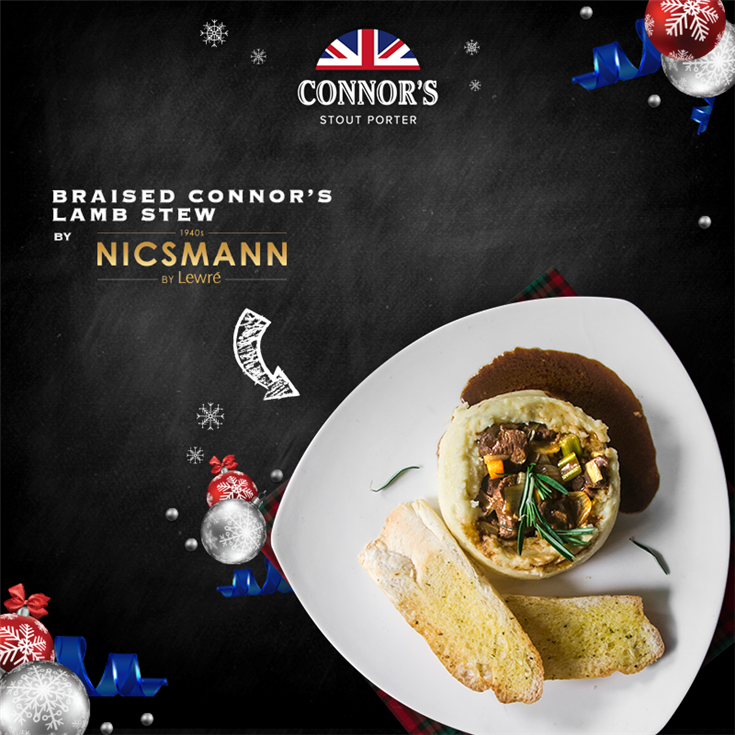 It also includes a wholesome meal of CONNOR'S-infused dishes paired with a full pint for your dining pleasure. 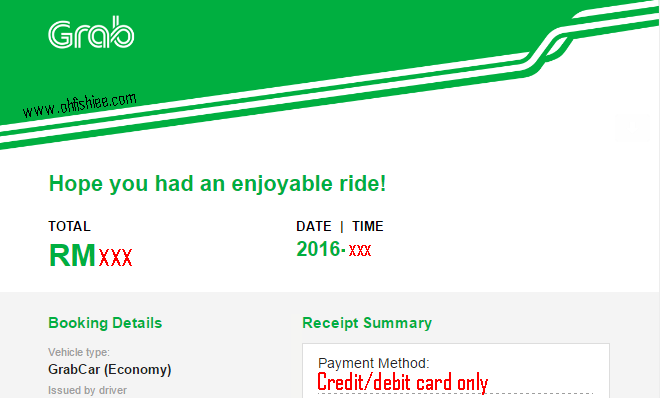 Lastly, your dinner date will be complete with private Grab Car chauffeur back home. 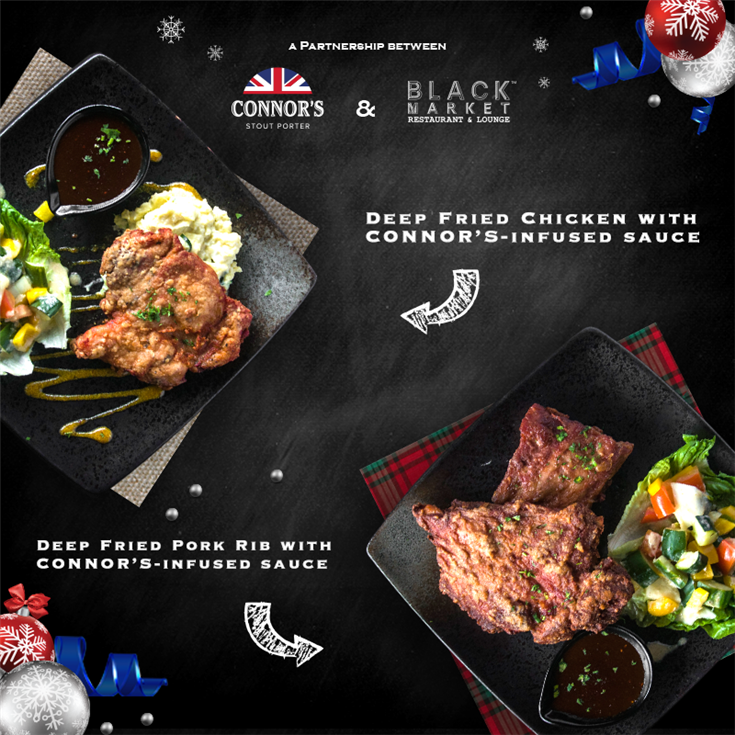 For Christmas, here are some of the ideal venues to perfect your CONNOR'S Experience with festive menu where each portion is inclusive of 1 full pint of CONNOR'S Stout Porter. Now let's check it out, one by one! If you love live band performances and playing pool games, then Chapter One is a cool place to chill in the evening. 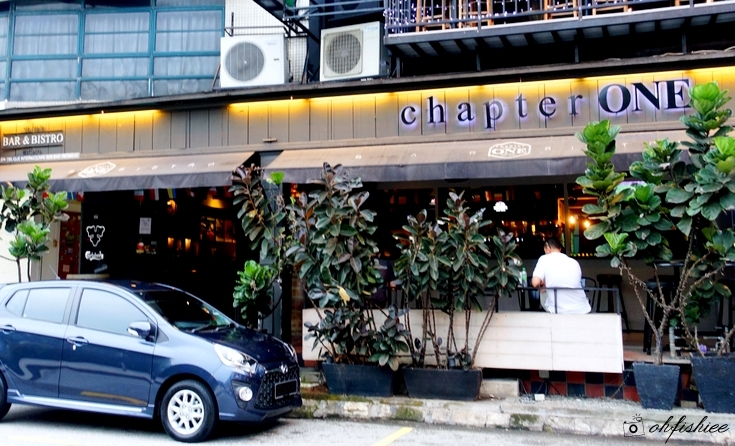 Plus, who doesn't love the vibrant scene of the busy cluster of restaurants in Sri Hartamas? Here I have tried their rib slab and totally love how easily the tender meat falls off the bone. This Christmas, they introduce baked baby back pork ribs braised in CONNOR’S Stout Porter. With a side of roasted potatoes and mixed salad, you gonna enjoy the BBQ glazed ribs in thick, caramelized BBQ sauce. For a stomach warming soup, how about this beef cooked in CONNOR’S Stout Porter broth? Just dip the crispy toast into this rich, hearty stew and you'd love this simple delicacy. 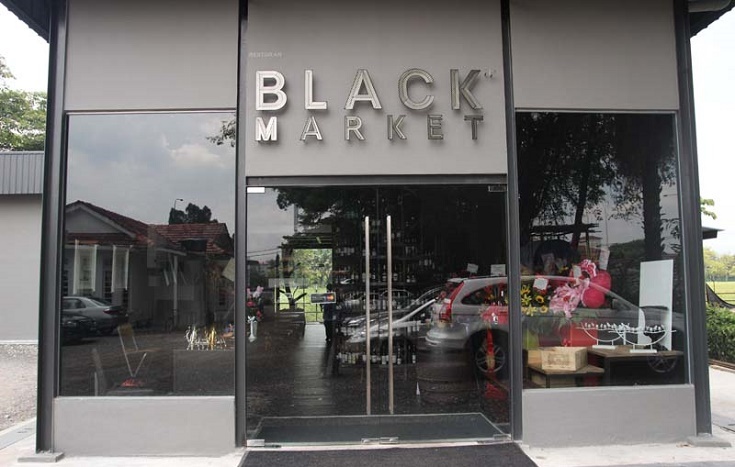 BLACK Market, a place which I have long heard about its premium rare ingredients and a wide selection of imported wines. The scenic views of twin towers and a lush green golf course add brownie points to the overall experience too. BLACK Market has always been famous for its signature pork ribs. And now you can have it deep-fried till golden brown, and served with the flavour-packed CONNOR’S-infused sauce. It is so delicious and addictive, especially when paired with chilled foamy CONNOR'S Stout Porter. If you are not a fan of pork, how about some crispy deep-fried chicken thigh? 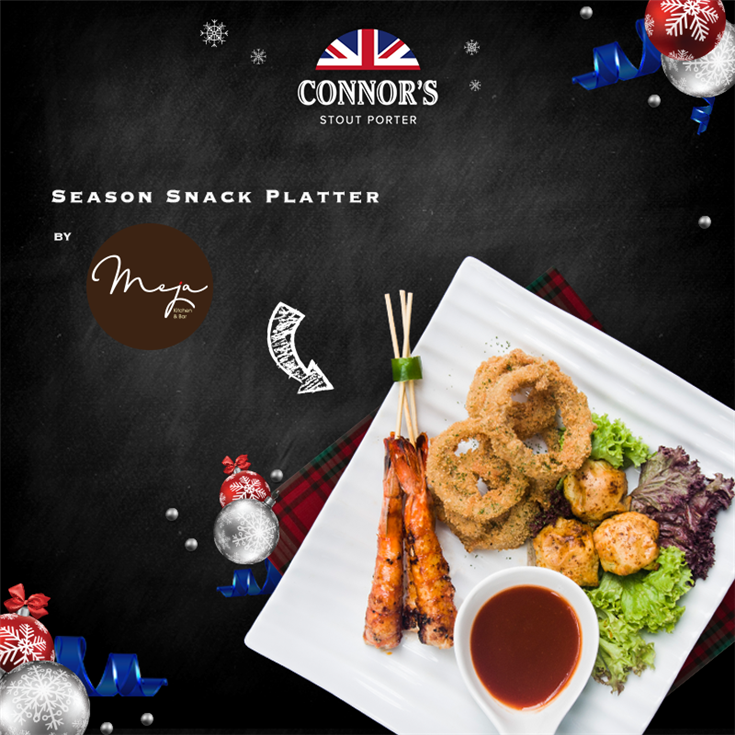 Served with mashed potato and special house salad, it goes equally well with the special CONNOR’S-infused sauce. Hubba Hubba Ceylon is one of my favourite hang-out places because it is tucked along the quieter side of Lorong Ceylon, away from the busy Bukit Bintang streets. Dubbed as "A Party Hub", it gets you "hooked on life" with good food and drinks amidst the colorful, relaxing vibes. Have you tried 180roasted half chicken? What a quirky name it has! It comes from the 180roasting method after being marinated overnight with CONNOR’S Stout Porter and mixed English herbs which wrap the chicken with full flavours. Two sides of CONNOR’S-infused mushroom sauce and salad are great complements to the dish. 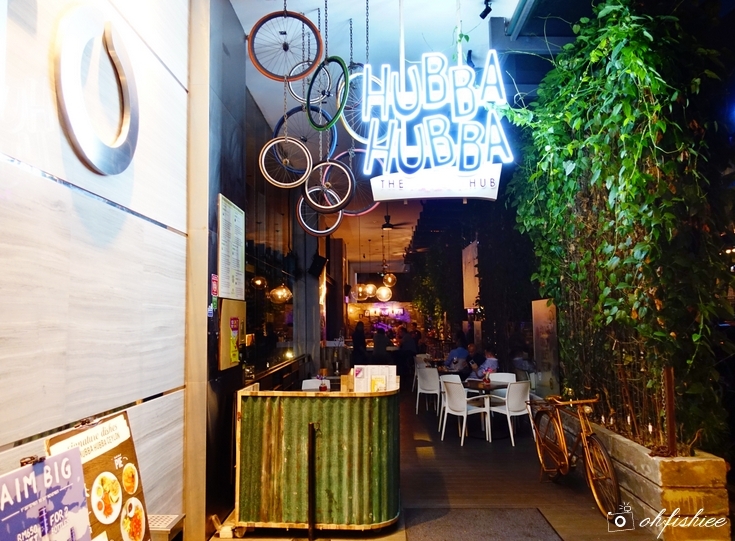 I have tried Hubba Hubba's pie here during my previous visit. And the buttery, flaky puff pastry is so good! Highly recommended for pastry lovers, especially when you get to dig into chunky lamb stew filling which has been cooked for 3 hours with carrots, onions and CONNOR’S Stout Porter. Another cool place which I have always wanted to visit for after-work drinks is The X! Tucked along the happening street of Jalan Telawi 3 in Bangsar, I'm sure you wouldn't miss The X's huge signage outside the black-painted outlet. This is definitely something more exciting among the rest. 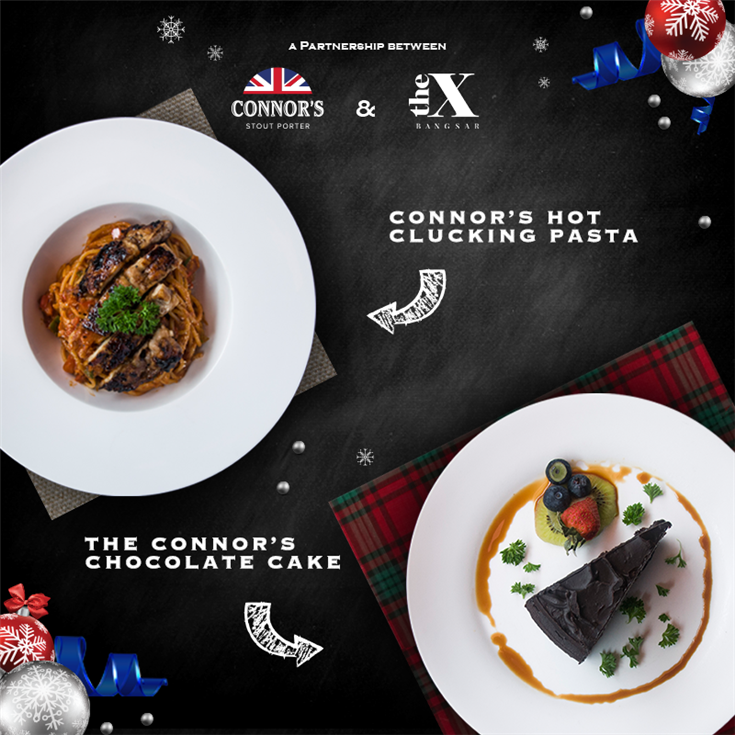 Come enjoy the marriage of spicy, sweet and malty flavours by starting off the meal with spicy, tangy CONNOR’S-infused chicken spaghetti, and end with the sinfully rich CONNOR’S-infused chocolate cake. Chocolate and CONNOR'S Stout Porter? I am excited to know how this unique combination tastes like. Tucked at the corner of Medan Damansara's famous food row, Tiki Taka is a popular place for pinxtos (Small snacks eaten in bars traditionally in northern Spain), tapas (Spanish appetizers), pizzas (Yummy!) and creatively-crafted desserts. 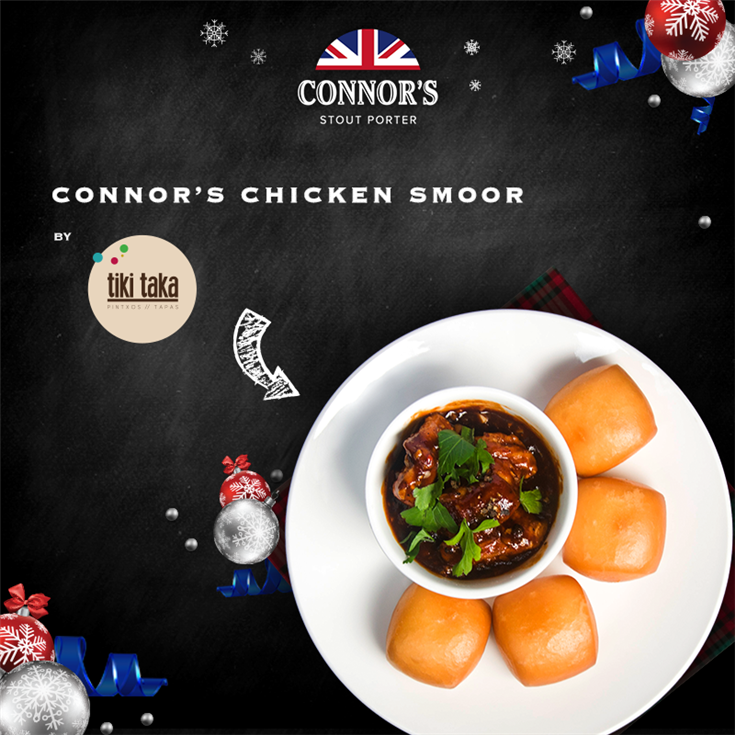 This Christmas, its signature CONNOR'S Chicken Smoor features a rich and peppery traditional Eurasian stew infused with CONNOR’S Stout Porter. You can dig into the crispy yet moist chicken breast and enjoy on its own or have it served with deep-fried fluffy mantou buns. For a smashing Christmas party, surely you wouldn't want to miss the most happening drinking hole in KL. 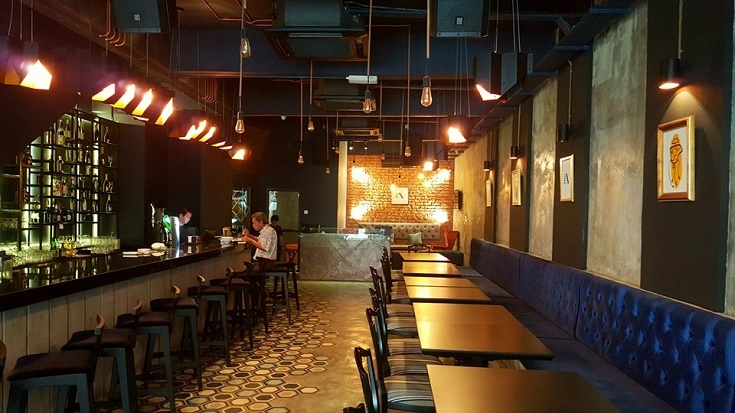 Located within the cluster of restaurants and bars in TREC KL, Nicsmann by Lewre is worth visiting for its beautiful ambiance and romantic vibes. True lamb lovers would appreciate this plate of New Zealand lamb stew served in crispy bread bowl. The meat becomes extra tender when slow-cooked in CONNOR’S Stout Porter and exudes robust flavours from the marinade blend of 100 herbs. 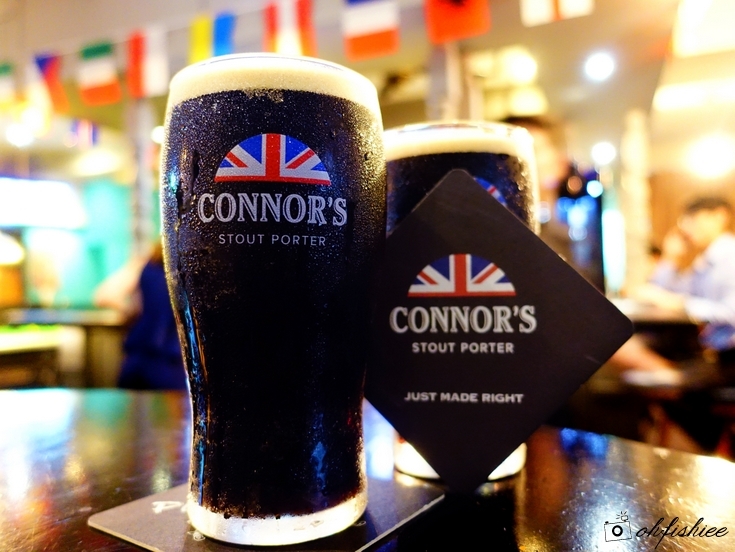 Can't wait to try the CONNOR'S Stout Porter infused stew! Located in the same area as Nicsmann, MEJA has a more casual ambiance and offers plenty of communal local cuisine and fusion European platters for sharing. I bet you just can't help but to reach for more snacks, while sipping into the frothy foam and down the chilled, freshly poured pint. 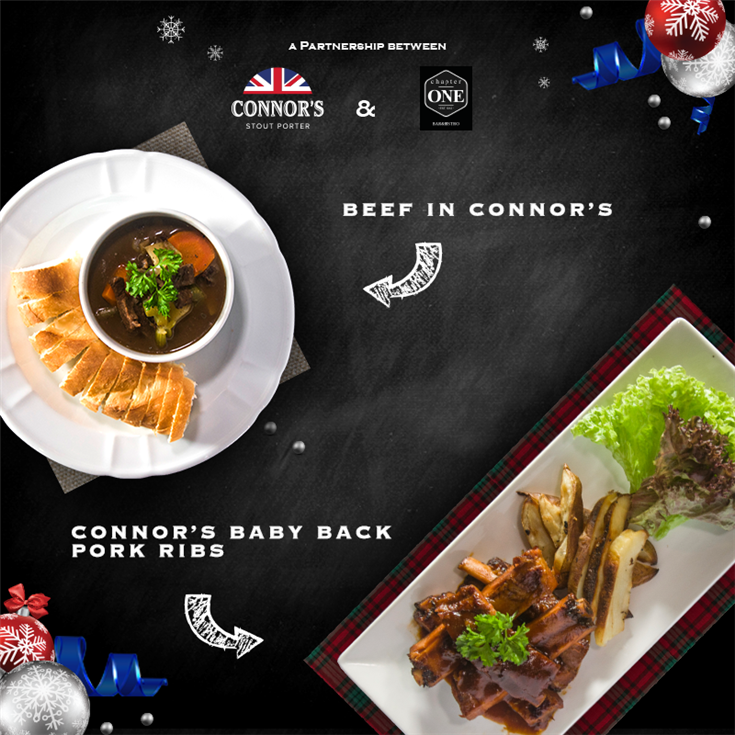 PJ folks can rejoice because you don't have to travel downtown for an equally amazing CONNOR'S Christmas experience this month. #TheBBP, located just a stone throw away from 1 Utama shopping mall, has been a famous after-work drinking hole which combines good food, great drinks and lively music under one roof. TheBBP has always been famous for its BBQ dishes. 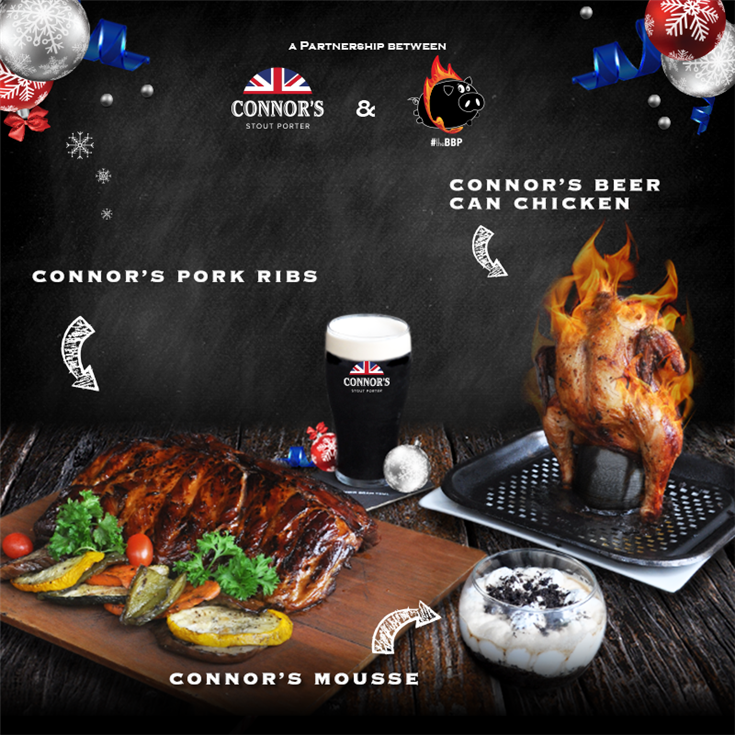 Hog lovers would be attracted to its 800 gram slab of pork ribs marinated overnight in a secret blend of herbs, spices and CONNOR’S Stout Porter. Plus, the glaze with CONNOR’S Stout Porter over a woodchip fire BBQ instantly adds robust flavours to the dish. If you are not a fan of pork, you can opt for the chicken instead, marinated and cooked in the similar way using CONNOR'S Stout Porter too. What's unique here is the homemade sambal sauce for that instant spicy kick. Lastly, down the meal with a smooth mousse made with the finest cream and CONNOR’S Stout Porter. Isn't it perfect for a sweet ending of the meal? Let's give our taste buds an unforgettable experience this Christmas! A child asked God: "If everything was written in fate so why should the convention? ".